"Do not rebuke an older man but encourage him as you would a father, younger men as brothers, older women as mothers, younger women as sisters, in all purity." 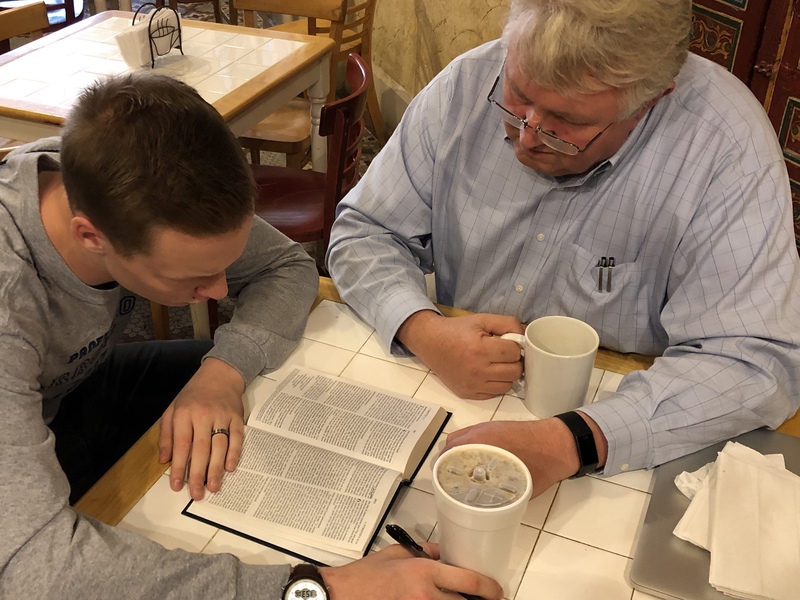 Spiritual Bible study, prayer, and fellowship are essential elements in any Christian plan of discipleship. We are doing no one any favor if we help them, but fail to tell them the gospel—the most important thing in the world. Every Parakaleo relationship is anchored in both God's word and God's Son. The expectation is that all participants will attend corporate worship and meet regularly with a Christian mentor. Physical Often the presenting issue when someone finds their way to our church is physical—food, housing, money. We are a small church, with limited resources, so we can only do so much, and therefore what we do must be in the context of a high level of accountability. We expect all Parakaleo participants to be working towards gainful employment, frugal spending, and God-honoring stewardship. Emotional Honesty is an absolute must in Parakaleo. Participants must be committed to transparency about both their past and their current situations. We demand relationships of trust and mutual commitment, free from condemnation, unhindered by deceit, and filled with the gracious love of Jesus. Chronic dishonesty mars healthy relationships and precludes participation in our program. Relational Every aspect of life is subject to the Lordship of Jesus, and every human relationship is governed by him. We expect respectful behavior. We expect trustworthiness. We expect sexual purity. We expect genuine striving after Christ-like love. Teachability and humble submission to godly authority is expected at all times, and failure to do so is grounds for immediate suspension from the program. Parakaleo is a brand new initiative. It flows from several pastoral relationships which the church has had over the past few years—some wonderfully successful, some heartbreakingly unsuccessful. The success or failure of previous efforts have no bearing on our desire to build such relationships going forward—God commands us to provide parakaleo—but we do seek to learn from our mistakes. Please pray for this new initiative and for the small group of people working with me to further develop and implement our plan. May Jesus be glorified in all we do!